Michael O'Brien with one of his winning dishes. Local man, Michael O’Brien, from Claremorris scooped the Kavanagh Group Top Chef Award at the Wyatt Hotel in Westport last week. Michael represented the Claremorris shop, against the best from the eight other Kavanagh SuperValu entries in the country. Judged by a panel of Ireland's top chefs, Eoin McDonnell and Alan Fitzmaurice, alongside Noel Kavanagh and Sean Moran, Michael cooked a starter of seared scallops and prawns with Kelly’s black pudding, on mixed leaves with garlic aioli. He followed this up with an amazing main course of hazelnut crusted duck breast with sweet cherry sauce and stir fried vegetables. 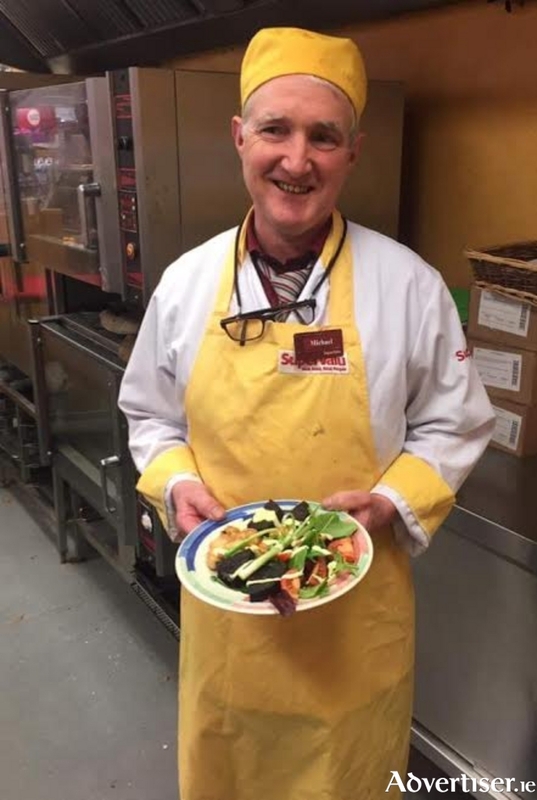 Michael, originally a chef, left the hectic kitchen scene 17 years ago to begin working in SuperValu, Claremorris, and now runs the bakery section there. His brown bread, treacle bread, scones and a large selection of tarts are all baked fresh in store daily. Now holding the top chef award, giving even more reason to check out his fabulous food at SuperValu, Claremorris.